Gobble Gobble: Hosting Thanksgiving? Do you have your home ready? With Thanksgiving just a few weeks away, getting your home in order is important more than ever. Hosting Thanksgiving is one of our favorite activities. Let's face it, its a complete challenge and personal accomplish when the day is over. We have come up with some tips to help your Holiday go smoothly, all while getting to enjoy it with your guests. Before anything, clean your home from top to bottom. But the challenge is keeping it clean. Days leading up to the holiday, touch up each room one day at a time. 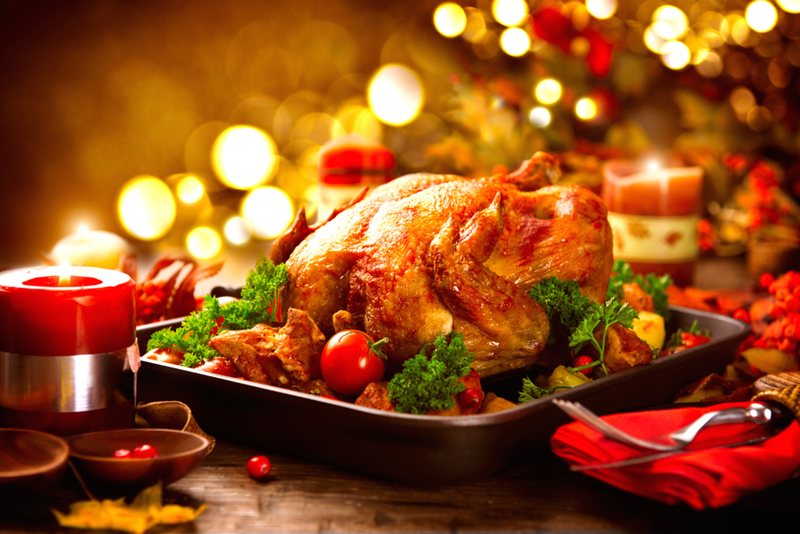 Stock up on non-perishable items, just in case you have to revive a dry turkey. This is essential! You want to make sure you have the correct number of dishes, glassware, silverware, serving utensils and most importantly, enough FOOD! Double check if you have guests bringing any supplies/food and get to the grocery store! This step comes from the perfectionist in me. Writing out the day helps me picture how the day is going to go. From the moment I wake up to coffee and dessert. I find myself decorating for holidays way too soon, out of excitement. But if you’re not like me, you may need to look around your home and see if there is any extra space for holiday decor. Make sure you have everything for the day ahead. Try hard to do this a few days before so you’re not running out in your pajamas the morning of Thanksgiving. Get all your dishes ready for the oven. Depending upon your menu, some dishes can be made the day before, then warmed the day of. Having the dishwasher ready to battle the dishes of the day helps so you’re not elbows deep in the sink after dinner. Get yourself up and ready. No one wants to be in the shower when the doorbell rings. Some like it stuffed and some like it clean. Either way, give that turkey a good rubdown with some spices, get breakfast going (we like to do french toast) & the Thanksgiving Day Parade on! Get the appetizers out and the drinks chilled. Everyone shows up hungry & thirsty. This holiday is all about being thankful for what you have, so enjoy it!